At this year's MWC, we scored a meeting with some officials from Motorola, where we were treated to an in-depth recap of what the company plans to do in 2012. Most of the stuff is already available to the public in the form of a news story here and there, but now that we've gotten all the details straight from the horse's mouth, we decided to put a sweet little article together, explaining Motorola's device strategy for this year and onwards. Right off the bat, we were assured that Moto is commited to this new strategy of releasing fewer models each year. Apparently, Schaumburg has had it with outing a new phone every month or so, and is willing to concentrate its efforts into designing and marketing select devices only. A smart move, we should say, since we can't really see the benefit in launching a product after a product, with only slight modifications made to the devices. When it comes to the actual design of the handsets in question, Moto did seem to enjoy our compliments about its quality builds. Indeed, the company is a leader as far as phone design goes, and it doesn't have the slightest intention of abandoning that heritage. In addition, we might actually see some of their lower-end models assume the characteristic looks that their current top handsets enjoy, like the DROID RAZR, DROID 4, XYBOARD tablets, etc. By the way, have you noticed that Motorola doesn't have a smartphone with a screen larger than 4.3", while many other manufacturers are already doing 4.5", 4.7", 5" and beyond without much hesitation? Well, we raised that question, and it appears Moto has asked itself whether it's a good idea to produce a handset with a larger screen too. However, the company claims that its tests have shown that 4.3" is the sweet spot when it comes to keeping a nice balance between screen size, clarity and comfort (though the RAZR isn't really the most comfortable 4.3" phone that we've held). Currently, the company isn't likely to go beyond that figure, though it'll continue evaluating the idea. The Blur interface was also among the topics of our conversation. The UI has grown up significantly lately and is now much, much better compared to what we had initially. Still, as you know, we're yet to see Blur running on an Android 4 handset, though we already have an idea due to some leaked screenshots. In terms of UI, the manufacturer's handsets should be cleaner than what we had with those early Android 2. * customizations (remember how intrusive MotoBlur was when it first arrived?). The depth of customization however is very likely to remain the same, which will be interesting to see, having in mind that Moto hasn't been shy about adding its own touches to the OS. Finally, we were assured that those much-anticipated updates to Android 4 ICS should start rolling out sometime in Q2, beginning with the top-tier devices. For more details on which handsets are expected to get an OS update, please direct your browsers to our dedicated post here. And that's pretty much it, guys. Now, tell us – is there a Motorola smartphone that you're really looking forward to right now? I actually am expecting Motorola to create droids that are specially "made for android". Much like how iPhones are made for iOS. IMO (even if Motorola and Google said they will remain independent) , their handsets are supposed to best the others due to the Google acquisition. if that happens samsung will be going with bada instead of android!! Samsung will more likely go with Tizen. They are already working on incorporating BADA in it. yeah the point is if google favors motorola then other players like samsung,sony or htc will be going with other OS so i dont think google will do anything special for motorola but again we'll just have to wait and see! Got your point. I guess what I was saying is: 1. That Google will leave Motorola alone 2. 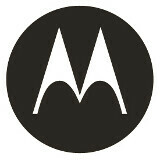 It is Motorola who will put extra effort to optimize their devices for Android. Although Google and Motorola are supposedly still separate, Motorola can now use technologies from Google to improve theirs. So there. I would love a Razor like phone with their Maxx battery, 32gb internal memory with expandable SD, 4.3inch 720p(300ppi+) amoled screen, and 12mp camera with improved optics and sensor. I would love to see Moto continue their design changes, and I would like to see more frequent updates to their software. We shouldnt have to wait as long as we do. User experience is paramount to a device being successful. Naah! Samsung should go with Windows Phone, they would be free from Apple's endless lawsuits. Obviously you've never owned Windows Phone. I have and it stinks. Android is totally better. and people say lg is bad at updates. my official ics is coming in q2, and my g2x was released 5 months before the bionic. Moto needs to step their game up. Doesn't sound like they have anything coming out this year to get exited about. More nonsense comments, Moto are usually faster than any other OEM when it comes to updates for their flagship phones. Q2 is pretty much starting in April, so shut up. The Razr has on of the best designs to hit the market and the Maxx battery shows us that they can have a monster battery without having it make your phone a monster as well. I still hold Moto and Sammy as two of Androids premier OEM's everyone else has more misses than hits than these guys. Sammy gets the nod because they are an all in house production machine, build their own chips and screens and you see how well their expertise pays off in the Galaxy line. I fully expect to see more of that gargantuan Moto battery showing up in more of Moto's phones. Moto can definitely go 4.5" and have less bezel thus keeping the same size as the current 4.3" phones with the Maxx battery...like seriously, why the hell not? Moto needs to get high resolution screens, I watch movies on my DX stuff looks great even on that screen but if they got IPS from LG with high pixel density would be awesome.